1st Place Pro Tour Round 5! Home » 1st Place Pro Tour Round 5! 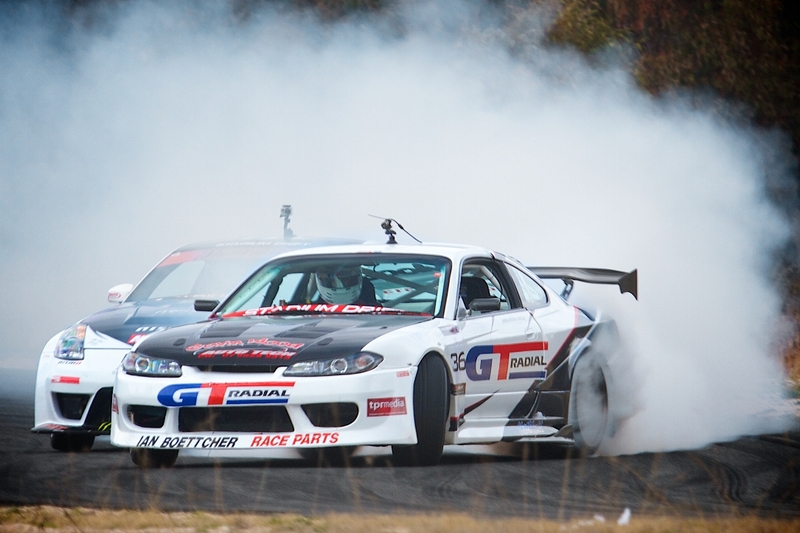 I had a great day today at Carnell Raceway in Stanthorpe at Round 5 of the Stadium Drift Pro Tour. After some really tough battles and just before the heavens opened, I took 1st place! It’s great to get back on the top step of the podium, and close the gap in the series. Series leader Danny Keneally was a very close 2nd and team-mate Rob Whyte was 3rd. This result brings Danny’s lead down from 30 points to 23, and with 3 rounds left, I’m going to push as hard as I can at each round to bring back the gap. Pictures and full report to come!